Amenities that luxury home buyers look for - Natalie Gregory & Co.
New features are constantly being introduced to the high end of the market, but there are certain amenities that top-tier buyers keep asking for. Here are some of the most in-demand amenities among high profile buyers. Luxury buyers want to stay in shape and they’ll need a well-equipped gym where they can work with their personal trainer. An exercise room with modern equipment and an assortment of free weights will help them stay on top of their fitness goals. High earners often deal with a lot of stress, and they’re going to want to unwind after a long day at work. This is where the private spa comes in – a quiet, relaxing space can be the sanctuary they need to do yoga or get massages and a facial. An in-home spa and sauna does wonders for their well-being. Elite buyers want the ultimate theater experience in the comfort of their own home. That’s why they want a room or rooms with a gigantic screen, state-of-the-art sound system, reclining seats, plush carpeting, and an extensive selection of movies to choose from. It won’t hurt to bring in a pool table, dart board, jukebox, a few arcade games, and the latest video game consoles. Luxury buyers are willing to pay a premium for convenience and there’s nothing better than being able to change the entire home’s temperature systems with the click of a button. Other smart home features that allow buyers to control basic functions like drawing curtains, controlling the thermostat, checking security, and locking and unlocking doors are prized among top-tier buyers. Sophisticated surveillance systems and smart appliances can also make a home more appealing. It’s not unusual for luxury homes to have resort-style pools. In fact, a high end property might have several – an Olympic size pool for swimming laps, a shallow wading pool for the kids, and perhaps an indoor pool for when the homeowners want more privacy. Stunning water features like jets, sprays, and waterfalls are also sought after. Wine collectors no longer keep their bottles out of sight – temperature-controlled wine cellars with custom bottle display systems are now the gold standard for wine storage. It’s also increasingly common for wine cellars to have lavish tasting rooms where wine collectors can entertain their friends and show off their prized bottles. Like wine cellars, garages aren’t just parking space for cars anymore. Garages are now sleek, modern spaces where homeowners can put their car collection on full display. Today’s showroom garages can accommodate up to 16 or more sports cars. They’re often equipped flat screen TVs, stainless steel bars, pool tables, and more. It’s a place where car collectors and their friends can admire the automobiles on display and have fun. Top-tier buyers expect plenty of outdoor space in the form of wide driveways, expansive lawns, sprawling terraces, covered patios, and more. The home should be situated on a large lot with plenty of usable land, manicured greens, and gorgeous landscaping. Sweeping views of the surrounding areas are par for the course. 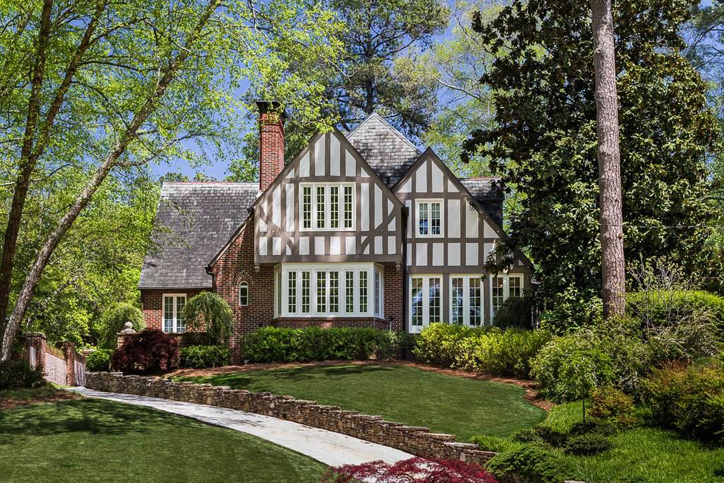 If you’re interested in Atlanta luxury homes, let me, Natalie Gregory, help you find the perfect home. Call me at 404.550.5113 or send an email to Natalie(dotted)Gregory(at)Compass(dotted)com.